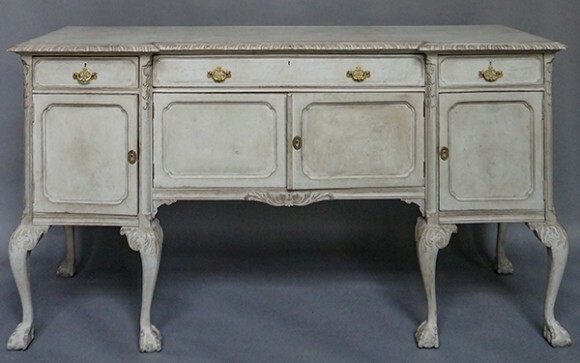 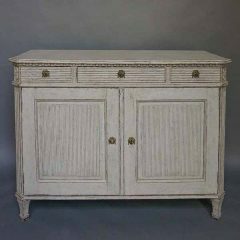 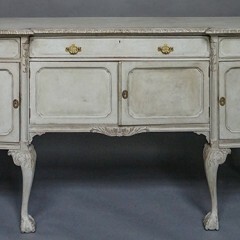 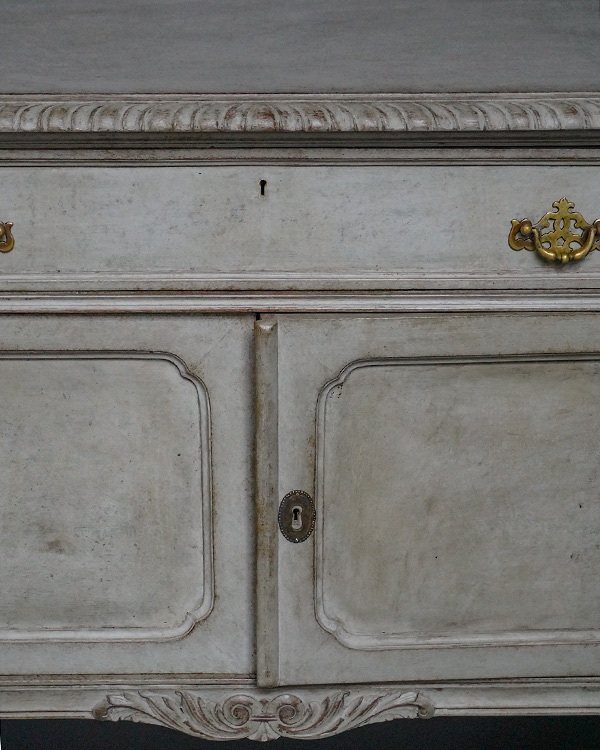 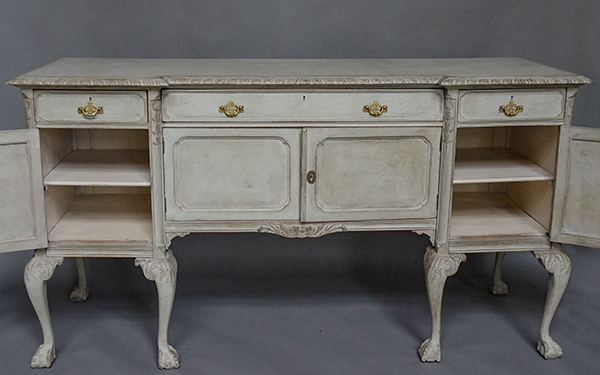 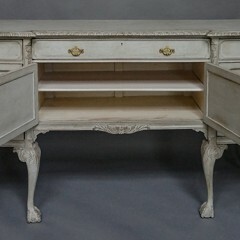 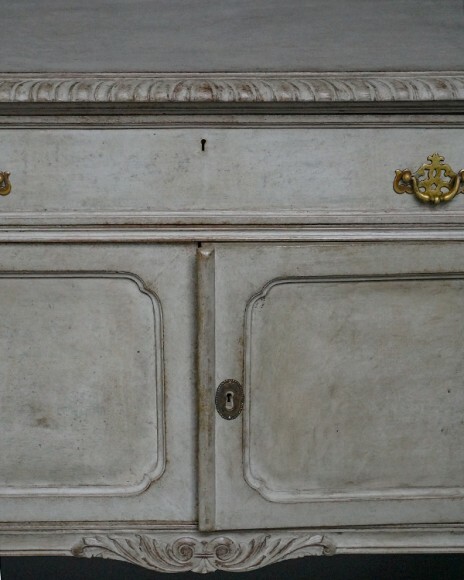 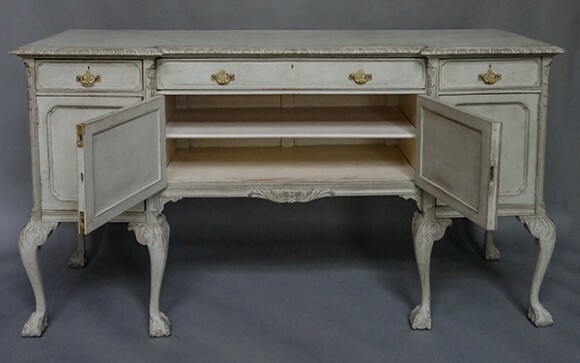 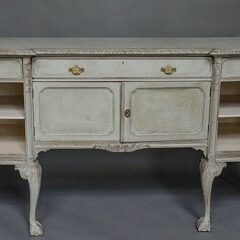 Swedish sideboard in the rococo style, circa 1910, with four drawers and four doors. 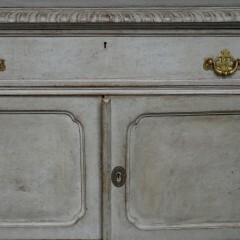 Nice carving under the shaped top and the apron. 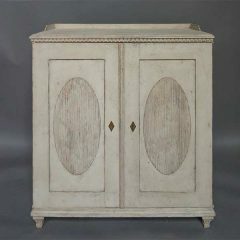 Canted corners with bellflower drops. 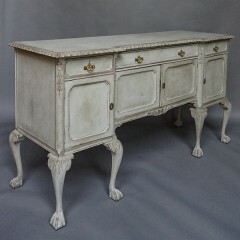 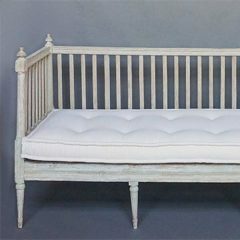 Cabriole legs with foliate carving on the knees and ball and claw feet.